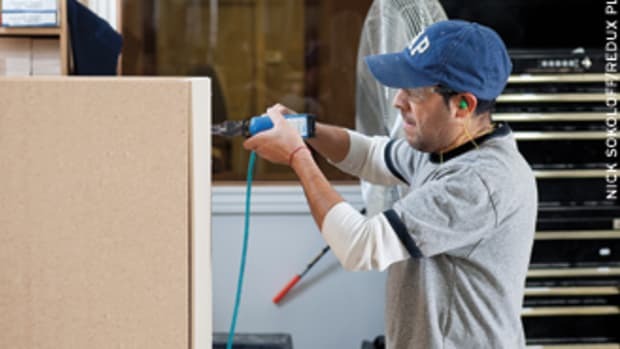 Outsourcing (for example, buying boxes, drawers and doors from a manufacturer rather than building them in-house) is becoming increasingly popular with custom shops. And while doing everything in the shop certainly offers more control over a job, outsourcing usually saves time and money. Hiring a factory that specializes only in components and makes them on a grand scale can be very cost-effective. Beyond cost, there are many other reasons to send work out. Small shops might not have enough machines, space or people to handle more than one job at a time. 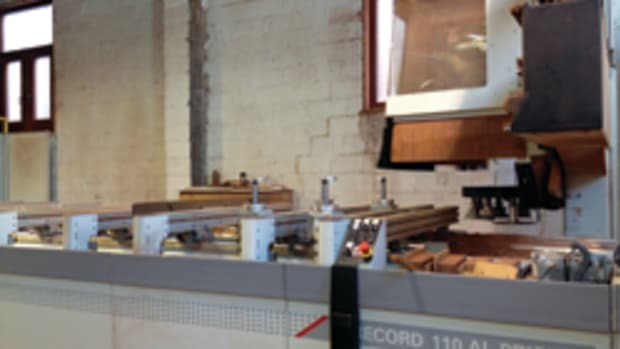 If a secondary supplier can work on basic casework while the woodshop concentrates on accents or other custom elements, then the business is, in effect, doubling its capacity. Production gets a big boost this way, but so does the overall efficiency of the shop. Nobody is waiting for time on a table saw or space in a spray booth. 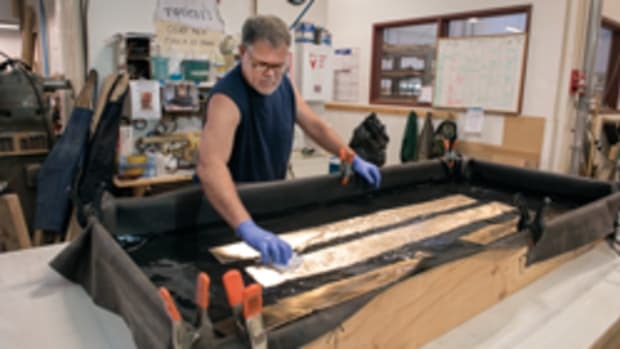 Plus, the shop can really concentrate on those artistic elements that set it apart, whether that’s carving, turning, countertops, bentwood, glazing, moldings, finishes or some other distinctive signature. The shop can also let one or two employees spend a lot more time learning the elements of design and creating new products or new ways to build using outsourced parts. Big suppliers generally do things well. That’s how they got big. So, if a supplier can build something as well as — and sometimes better — than a custom woodshop can and do it for less money, it makes sense to upgrade the quality of the smaller shop’s product line. In a strong market, expansion used to require building, buying or renting more physical space and then filling it with new machines, inventory and staff. Now, growth can be as simple as using a new source to double capacity. Avoiding that big capital outlay means fewer headaches, lower monthly expenses, a smaller overall debt burden and probably a better night’s sleep. If times get a little tougher down the road, there’s no need to heat and cool all that extra space or lay off staff, pay leases on idle machines and so on. Plus, there’s a whole lot less invested in inventory, too. There is an insinuation of lean production here. Ordering parts only as they’re needed means that one requires a much smaller warehouse for materials. One other huge advantage to outsourcing is that the larger supply houses offer items that can help a woodshop build a bigger menu and thus a better reputation. 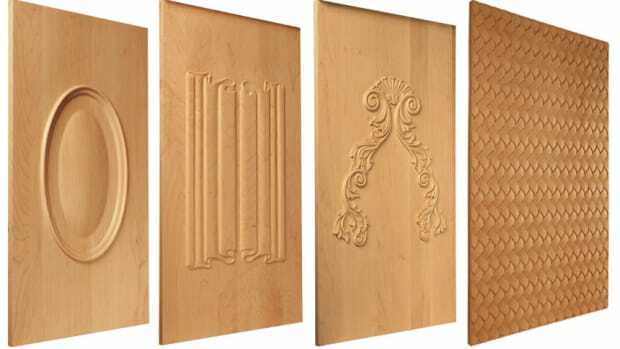 For example, suppliers usually have the capacity to run custom moldings in the same species as the casework or shape ovals and curves that are beyond the capacity of many shops or perhaps offer a much wider array of door styles. Outsourcing isn’t restricted to just boxes and doors. Chelsea Furniture Designs in New York (www.chelseafurnituredesigns.com) supplies custom cabinets to residential clients and also provides store and office fixtures to commercial accounts. Chelsea’s David Friedman says the shop has outsourced some of its AutoCad shop drawings to a drafting house named The Blue Solutions Corp. (www.thebluedrawings.com), which has been extremely helpful. Friedman points to the bottleneck effect, when a lot of design work needs to be done quickly to keep pace with the shop floor. Rather than let drafting slow up production, outsourcing some CAD jobs keeps everything flowing at an efficient pace. The key is to find somebody competent, reliable and knowledgeable, who hopefully has a background in woodworking and can grasp the nuances. Camille Bonnano is the operations manager at Walter’s Custom Cabinetry in Stroudsburg, Pa. (www.walterscustomcabinetry.com). The shop provides high-end cabinetry solutions, in large part for customers in the Hamptons. Her company has also outsourced some AutoCad work to The Blue Solutions Corp.
One possible solution for shops on the cusp is to provide office space to a designer who then pays rent in design hours. That way, the draftsman can take on some outsourced jobs from other local shops to keep him or her busy and still be immediately available. One of the many benefits our industry enjoys as a result of the evolution of CNC technology is the flat pack. This is a system of knockdown casework where prefinished cabinet components can be shipped flat and later assembled — often with just basic tools and right on the job site. 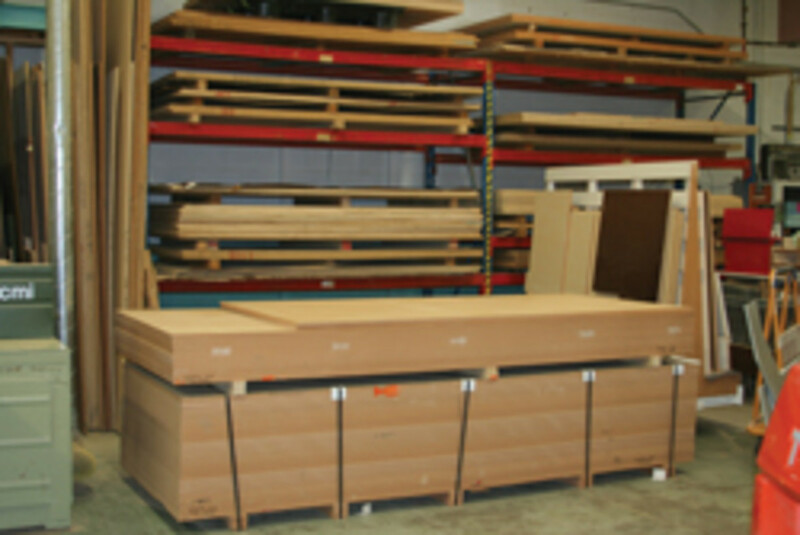 These RTA (ready to assemble) outsourced cabinet systems are offered with different joinery options. Many of the less expensive ones began with a version of the cam design used in snap-together laminate flooring and this has been improved upon significantly through the years. High-end RTA products such as components from Conestoga Wood Specialties (www.conestogawood.com), which are made in the U.S., depend on a sliding dovetail system rather than a simple cam lock to hold parts together. Other American-made units, such as those from Barker Cabinets in Portland, Ore., (www.barkercabinets.com) use a predrilled screw system. Whichever system is used, the bottom line is that being able to reduce the physical bulk of an entire kitchen to a couple of pallets has fundamentally changed the nature of outsourcing. Where one once had to buy most of a container to ship a fully assembled kitchen, now the same job occupies about the volume of a table saw. Flat parts are easier to protect, too, so almost nothing arrives damaged. And they can be drop-shipped directly to the customer’s home, so the cabinets never even see the inside of the local woodshop that ordered them. That can mean significant savings in both time and personnel as the job doesn’t need to be packaged, loaded and hauled to the jobsite. Because outsourcing has become so sophisticated, a shop’s role could conceivably be reduced to nothing more than estimating and installation. If the process is streamlined enough, a cabinet shop that once spent a month or two working on a kitchen can now be installing two or three a week, using no more personnel and paying a lot less for equipment, overhead and inventory than it used to. Ordering kitchens might not be as much fun as building everything in-house, but it’s often a lot more profitable. If the trend continues, some people fear the custom cabinet industry will eventually go the way of small downtowns across America when Walmart moved in. The theory is that big supply houses will eventually price small local shops out of existence because they can provide a wider choice at lower prices. However, residential casework and even commercial jobs such as banks and retail spaces are not quite as easy to produce as a shelf full of imported Chinese household goods. The Walmart analogy doesn’t hold up because woodshop customers will always need to have somebody customize the job to fit their space. Unlike much of Europe, American and Canadian homes and commercial spaces tend to be fairly unique and to celebrate their individuality. Very few have identical dimensions, so while outsourced parts can now be ordered in essentially custom increments, the parts are conforming to the spaces, rather than the other way around. Because there are individual and very personal choices to make about countertops, backsplashes, sinks, appliances, lighting and other design elements, there will always be a need for custom woodworking. Outsourcing opens up many possibilities for small shops with a desire to grow. Being able to order finished components opens up the way to taking on large municipal or commercial projects such as schools, hospitals, retail spaces and so on — jobs that are beyond the capabilities of the individual shop, but can be handled quite easily by specialty suppliers. 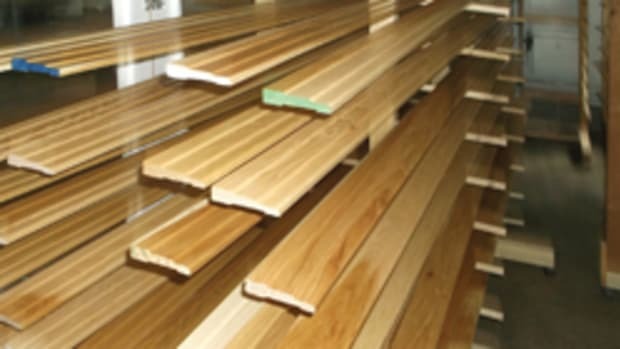 In effect, the custom woodshop can become a showroom, a reseller and an installer of lines that are offered by the supplier and still have the capacity to build unique elements of each project when the opportunity arises. However, using outsourced components to grow quickly can have some drawbacks. There’s a learning curve that needs to be respected. It might be advisable to take on several small jobs with the same supplier before jumping into the deep end of the pool and bidding a big job such as a clinic or hotel. If, for example, a woodshop new to outsourcing orders flush doors based on opening dimensions and makes an allowance for clearance and then the factory assumes that the dimensions are the actual openings (because that’s what it asked for) and makes a second allowance for clearance, the shop might end up with several hundred undersized doors. Shipping can be a problem, too. Even though factories generally do an excellent job of packing components, there’s always the chance that something gets dinged in transit. If a job is on a tight schedule and the customer needs completion by a certain date, having a cabinet side or perhaps a drawer front arrive with a damaged corner can possibly derail an entire project. If a shop-built part needs to be replaced, somebody can usually stay late and get it done before morning. If the part needs to be reordered from a remote location, that process can add several days because of the shipping lag. Large jobs are often broken into smaller units to make them more manageable. On big projects, that can be a problem when it comes to grain and stain. Colors and appearance can match within a batch, but when the batches are reunited onsite, variances sometimes show up. For example, if wood panels are stained on different days — or from cans that are labeled the same but come from different production runs — there can be a disparity in tone. 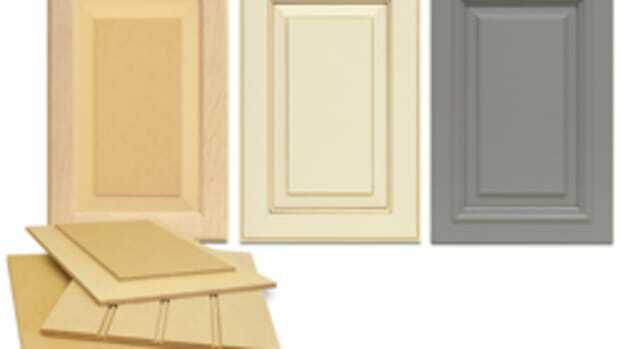 If two cabinets from two different batches meet side-by-side during installation, that can be a problem. It’s a good idea to break big outsourced jobs into units that end up in separate rooms. 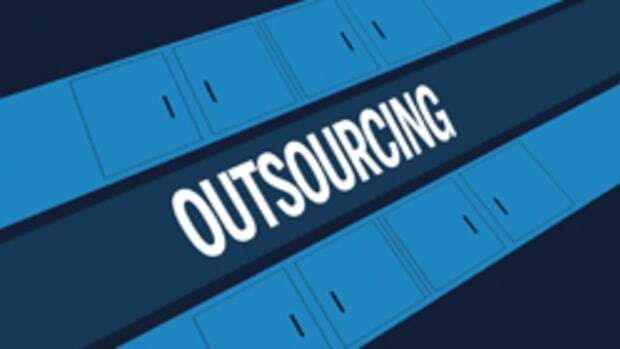 Change orders can be a problem with outsourcing, too. One Wyoming cabinetmaker (who prefers to remain anonymous) recently ordered an expensive kitchen online. The day it left the factory, he learned that his client had changed her mind about the planned refrigerator. The new appliance was almost two inches narrower than the original spec and several inches taller. She insisted that the wall and base cabinets adjacent to it had to be reordered, as did the unit above it. Aside from the time delay, there were also shipping charges to argue about. And when the replacement cabinets finally arrived, the cherry had a lot more sapwood than the clear heart in the surrounding doors. In the customer’s eyes, everything was the woodworker’s fault. 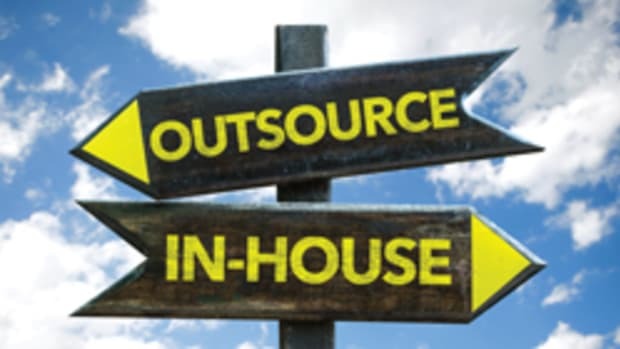 Establishing a track record with an outsourced supplier might or might not have solved some of these problems or lessened their impact. A repeat customer at a factory is probably going to be treated well. Custom shops located in or close to large cities have some advantages over rural shops when it comes to outsourcing. Being able to pick up completed projects on the loading dock eliminates shipping costs and that can add up to huge savings. Being able to examine components on the dock before they leave the factory can significantly reduce the timeframe if something needs to be reworked. A personal visit during the design stage might introduce a shop owner to some options that weren’t apparent when he visited the fabricator’s website. Having something explained in person is a lot different than reading an e-mail or talking on the phone. Woodworkers often like to use pencil and paper to clarify small points and make sure everyone is on the same page and that’s hard to do from long distances. On the other hand, working with a large national supplier has distinct advantages, too. It can offer species or cuts that aren’t readily available locally or perhaps a wider range of stile and rail edge profiles. Because of the volume it processes, it might be able to deliver more quickly even from a distance. The cost of shipping can be offset by lower cabinet prices, especially if it buys plywood and lacquer by the trainload. Shop owners who interact with their peers can avoid a lot of simple mistakes when they’re beginning to outsource. Learning from another shop’s experience is an economical way of dealing with the learning curve. 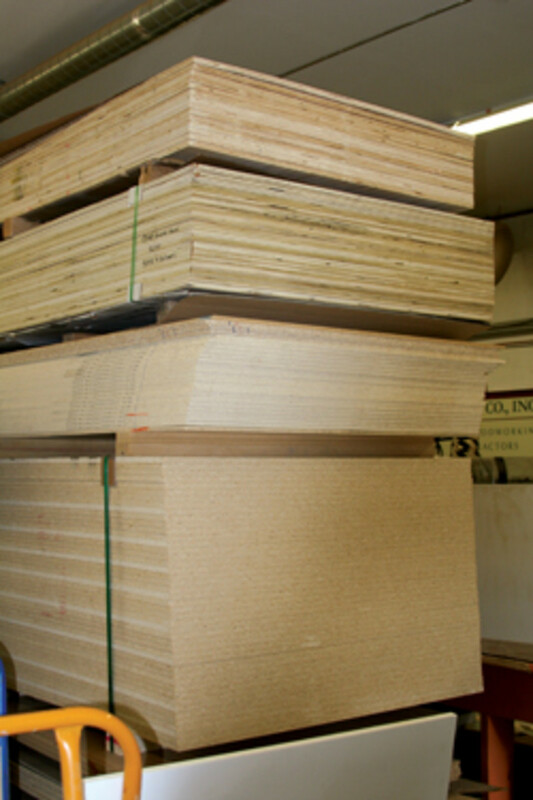 Some ways of finding those peers are joining a trade association such as the Architectural Woodwork Institute (www.awinet.org) or the Cabinet Makers Association (www.cabinetmakers.org), or networking with other woodshops through the local Chamber of Commerce. Wholesale parts suppliers (where do you buy your drawer slides?) might also know of shops that are already outsourcing and, if they’re not direct competitors, they’ll often be happy to share notes. Social media can be useful when it comes to networking: if you’re a dinosaur, just ask the youngest kid on the shop floor how it works. One nice thing about Facebook and similar sites is that a shop owner can meet other builders all across the country and compare experiences they’ve had dealing with suppliers that ship from coast to coast. Finding companies to supply outsourced parts is relatively easy. Finding the right one might not be. 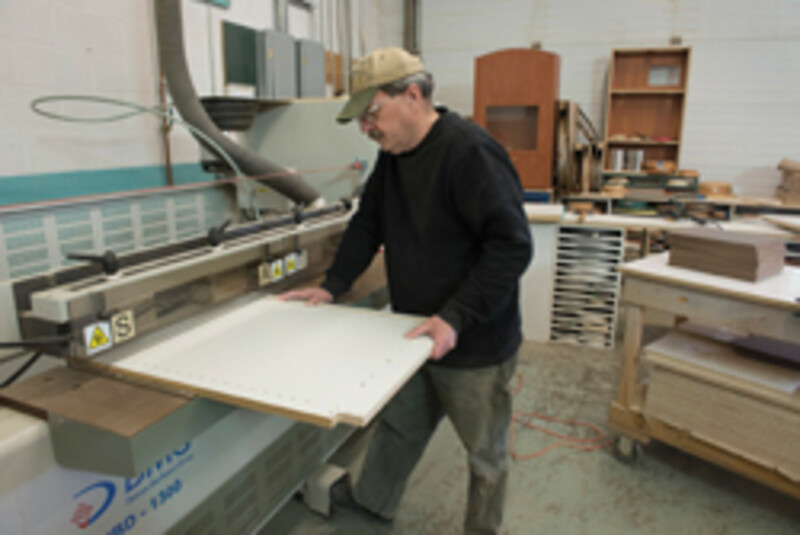 One great place to start is the Woodshop News Resource Guide (www.woodshopnews.com), which lists several cabinet, door, drawer and other component suppliers who have earned solid reputations. Suppliers who are members of multiple large trade associations, advertise nationally and operate booths at one or both of the two big woodworking trade shows (www.awfsfair.org and www.iwfatlanta.com) are probably going to be processing the kind of volume that ensures a professional attitude and a superior product. Before outsourcing any jobs, it’s a good idea to run a cost analysis to see exactly what the savings are. The components supplier will provide a bid and you’ll need to compare those numbers to the real cost of doing the same work in-house. That’s not just limited to time and materials. You’ll also have to consider the fact that, while the factory is building your boxes, you can be working on another job. The amount of time it takes to estimate and order the outsourced elements is also a cost factor. Some suppliers prefer receiving a set of shop drawings or blueprints (physically or electronically), while others simply operate a “shopping cart” on its website. The former assume some responsibility for dimensions. With the latter, you’re entirely on your own.